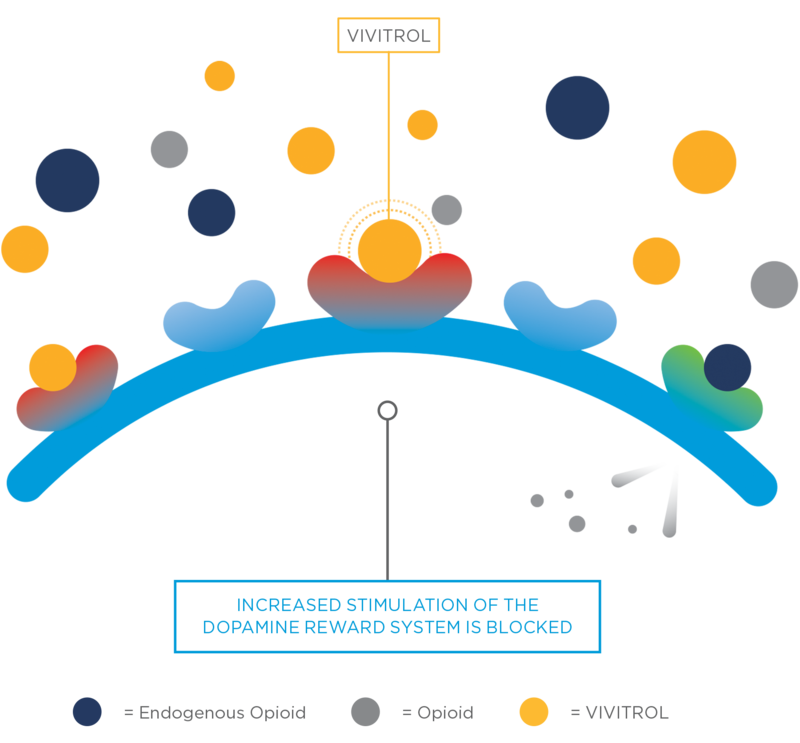 VIVITROL contains naltrexone, an opioid antagonist or blocking medication with highest affinity for the mu opioid receptor. Benjamin D, Grant ER, Pohorecky LA. 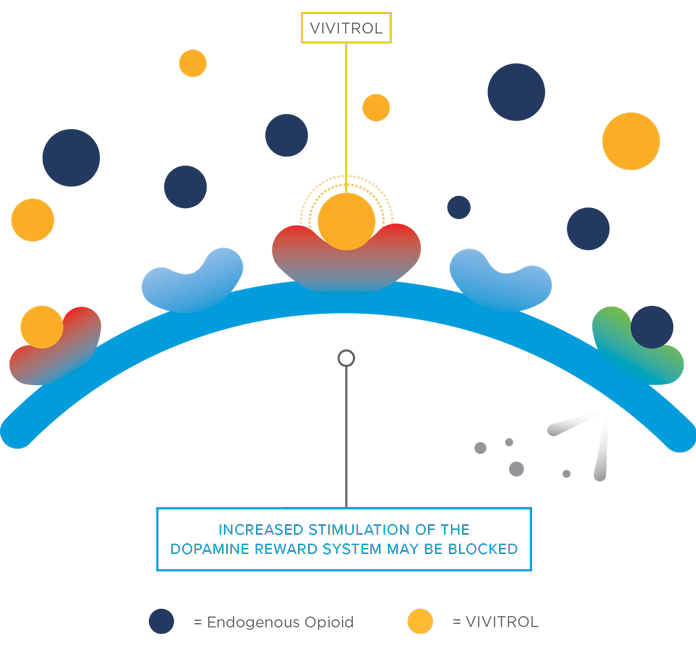 Naltrexone reverses ethanol-induced dopamine release in the nucleus accumbens in awake, freely moving rats. Brain Res. 1993;621(1):137-140. Setiawan E, Pihl RO, Cox SM, et al. The effect of naltrexone on alcohol’s stimulant properties and self-administration behavior in social drinkers: influence of gender and genotype. Alcohol Clin Exp Res. 2011;35(6):1134-1141. Ray LA, Hutchison KE. Effects of naltrexone on alcohol sensitivity and genetic moderators of medication response: a double-blind placebo controlled study. Arch Gen Psychiatry. 2007;64(9):1069-1077. Lee YK, Park SW, Kim YK, et al. Effects of naltrexone on the ethanol-induced changes in the rat central dopaminergic system. Alcohol Alcohol. 2005;40(4):297-301.